Following an earlier phase of work involving the demolition of the old Colt factory in Havant, CampbellReith has been appointed to assist the local authority development planning team in procuring a development partner to carry out a remediation and enabling package and subsequently to deliver residential housing using Modern Methods of Construction (MMC). The site is owned by Homes England and its full ownership extends to 3.1 hectares, with a residential element of 2.28 hectares. 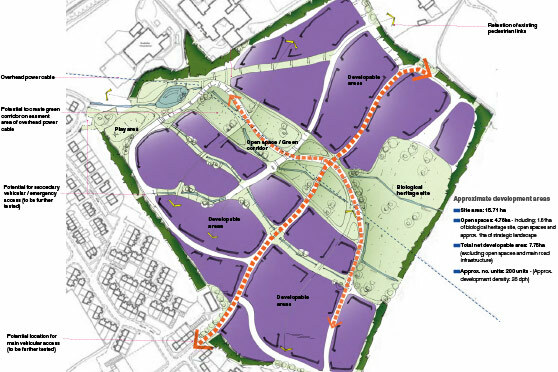 An outline planning application for up to 100 residential units and 2,860 square metres of employment space has recently been approved in principle by Havant Borough Council and Homes England is seeking to procure a single preferred Development Partner. CampbellReith is leading on the technical requirements for the enabling contract working with Savills which is leading on development procurement.